Background: Waterpipe smoking is a global health problem and a serious public concern. Little is known about the effects of waterpipe smoking on oral health. 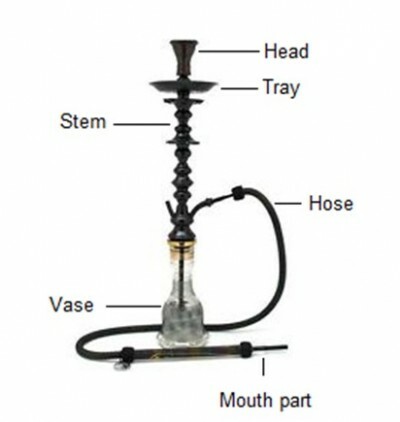 In the current study, we examined the alterations of oral microbial flora by waterpipe smoking. Methods: One hundred adult healthy subjects (59 waterpipe smokers and 41 non-smokers) were recruited into the study. Swabs were taken from the oral cavity and subgingival regions. Standard culturing techniques were used to identify types, frequency, and mean number of microorganisms in cultures obtained from the subjects. Results: It was notable that waterpipe smokers were significantly associated with a history of oral infections. In subgingiva, Acinetobacter and Moraxella species were present only in waterpipe smokers. In addition, the frequency of Candida albicans was higher in the subgingiva of waterpipe smokers (p = 0.023) while the frequency of Fusobacterium nucleatum was significantly lower in the subgingiva of waterpipe smokers (p = 0.036). However, no change was observed in other tested bacteria, such as Campylobacter species; Viridans group streptococci, Enterobacteriaceae, and Staphylococcus aureus. In oral cavity and when colony-forming units were considered, the only bacterial species that showed significant difference were the black-pigmented bacteria (p < 0.001). Conclusion: This study provides evidence indicating that some of the oral microflora is significantly altered by waterpipe smoking.